A couple of days ago, I was reading an article on the Rwanda Genocide and came across an interesting quote by Yolande Mulugasana, a genocide survivor. She said, “There will be no humanity without forgiveness. There will be no forgiveness without justice. There will be no justice without humanity.” The second sentence struck my attention in particular to my work in Sierra Leone. Truth or Justice is a big debate in reconciliation, at least with the communities I work with. 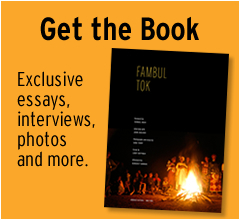 At Fambul Tok, we believe the reconciliation journey comprises of four components — truth, justice, mercy, and peace. Each has to be addressed (and in no particular order) before reconciliation is achieved. During our trainings, there is one activity we do to highlight Ms. Yolande’s second sentence. We ask participants to choose one of the four components and describe its importance to reconciliation. A high percentage select justice or truth. Why not mercy or peace? 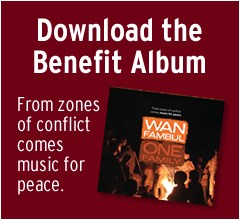 I understand the importance of the truth and justice before reconciliation, but why not initiate peace first? How about if the truth or justice does not satisfy your needs? Do you have any thoughts on the quote or my questions? This entry was posted in Reflections and tagged Fambul Tok. Bookmark the permalink. One Response to Truth or Justice first? You say that all 4 components are necessary. However, are Justice and Truth achievable or must one be forfeited for the other? For example, with the granting of amnesties.